When a 300-pound man kisses you on the lips and welcomes you as his own offspring after the show, you know you've found your path in life. "My son!" Roby Kap had exclaimed, his hands still grasping Brad Wheeler's ears in the wake of the kiss. "I knew you were coming. I had heard of you. Who else plays harmonica like us? We were bound to find each other." Tall and lanky, the then-21-year-old Wheeler (better known as "Bad” Brad from his days as a radio host for Utah public radio station KRCL) looked nothing like the stout older man. Kap nevertheless began introducing Wheeler to friends and family as an illegitimate child. They formed a fast friendship, sealed with the gift of a vintage harmonica microphone. It had to happen over a harmonica, too. 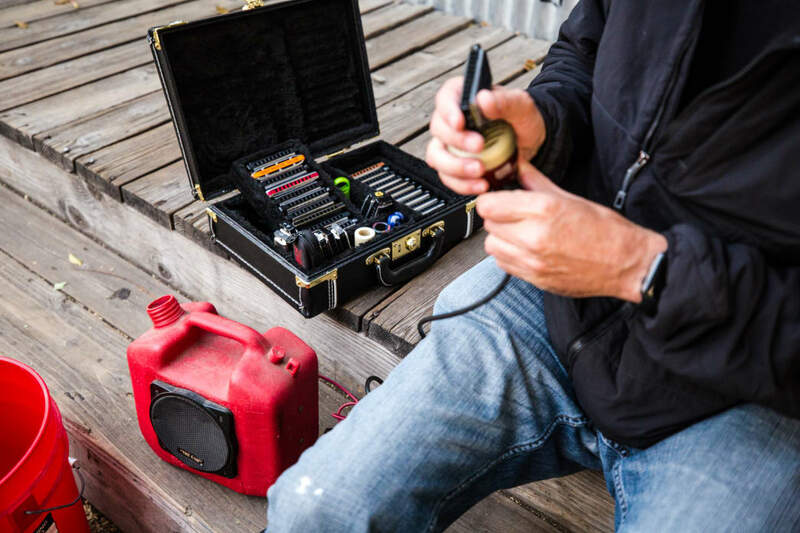 If you play a harmonica and study archeology, you might be an old soul. "I started playing the harmonica when I was 19. When I turned 21 I went to check out the Grey Moose Pub in Ogden. I'm standing up near the stage while this band is playing, and this big guy in the shadows in the back of the bar catches my eye and begins motioning." Wheeler pantomimes and interprets a series of gestures indicating the man's intentions: "You. Play. On stage. 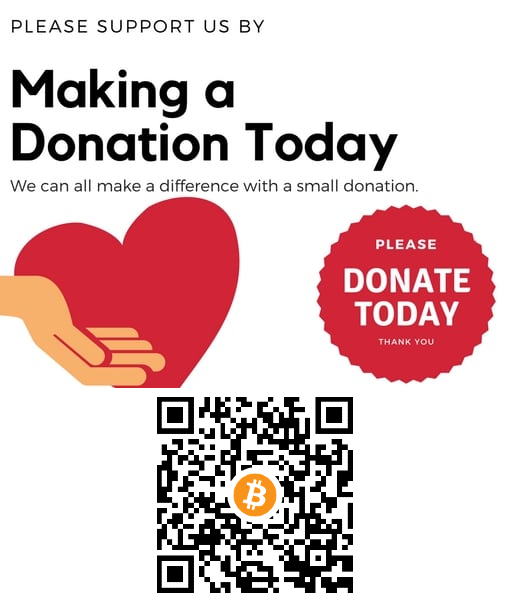 Now." As Wheeler tells it, he was terrified. He didn't even know if he was in the right key; he didn't even really know "key." But he jumped on stage and joined in. Happily, Wheeler reports, he happened to be in the right key. After the unexpected introduction, Wheeler later returned to Ogden's 25th Street to a bar Kap was running at the time in order to track him down. Kap knew Wheeler would come back, and had his vintage gift awaiting just that moment. How would he compare Ogden's history to Salt Lake? "Put it this way: I've never seen anyone bleed in a bar in Salt Lake," Wheeler says, then smiles. So how did Brad Wheeler end up in that space at that time? Given Wheeler's breadth of knowledge about the music scene in Utah — and particularly of Ogden — it would seem safe to assume he's a native son of the Beehive State. In fact, Wheeler was born in Lakenheath, England and spent the first few years of his life in Hawaii before arriving in Utah at the age of eight. He attended Ogden’s St. Joseph Catholic School where he had a vantage point of historic (and historically "notorious") 25th Street where "after class he used to watch people at a distance spill out of the Kokomo Club like little ants." "I had no idea I was staring at my future," he notes. That old watering hole, Kokomo Club , has spanned nearly six decades on 25th Street. It has seen a lot of people; it's heard a lot of stories. Sometimes cities and towns build over and obscure their history. 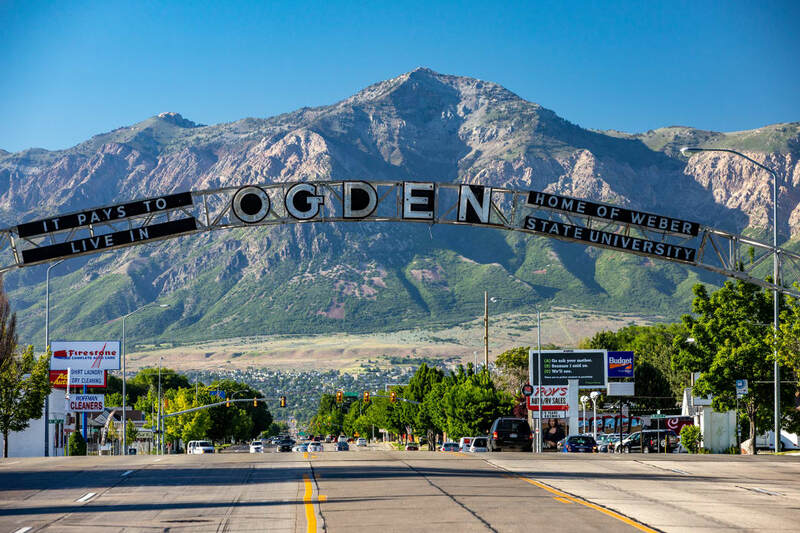 Ogden celebrates its history, however rough around the edges — its a legacy baked into the modern city's lore and helps to create a distinct identity from Utah's more well-known towns, Salt Lake City and Park City. But like those cities, Ogden also boasts backyard mountains and mountain resorts with trails leading right from downtown to canyons, rivers, forests and dark skies. If anything, many Ogden residents strain against the constant draw of the outdoors now that the city's shadier past has receded. But according to Wheeler, it's probably fair to say that every liquor law ever written in Utah is for 25th Street. How would he compare Ogden's history to Salt Lake? "Put it this way: I've never seen anyone bleed in a bar in Salt Lake," Wheeler says, then smiles. 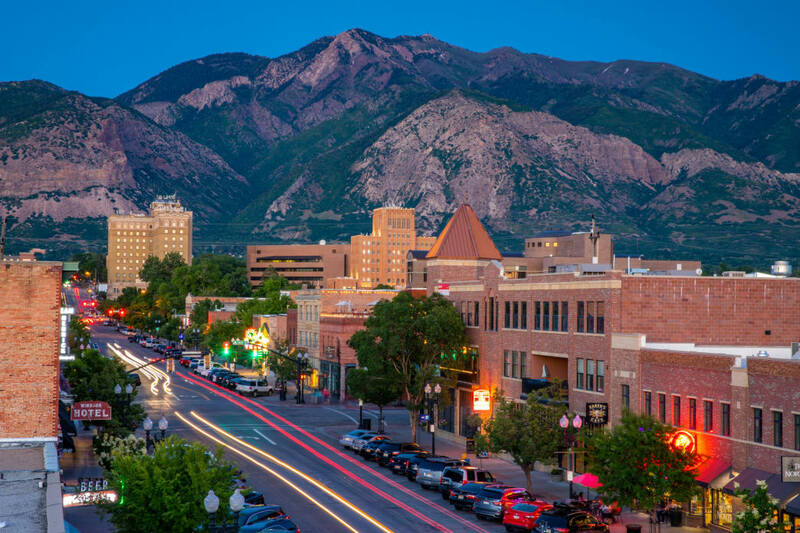 Ogden has grown out of its wild adolescence — and rough middle age — and rebellious early retirement — having matured as a sophisticated, but still free-spirited, city. But oh, get Ogden going, and the stories it tells. 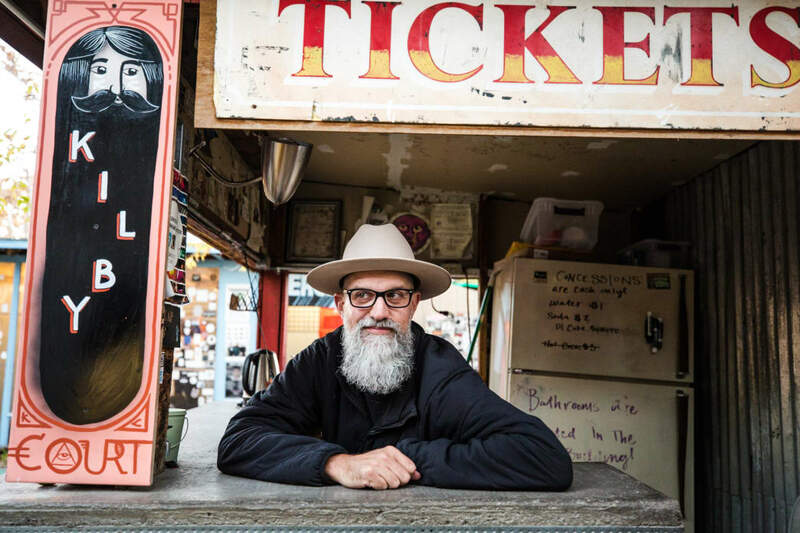 Thanks to his high-profile position in the scene, “Bad” Brad Wheeler’s ambassadorship means he gets to share his passion for this place: “I see a lot of traveling musicians that fall in love with the geography here and fall in love with the people here,” he says. 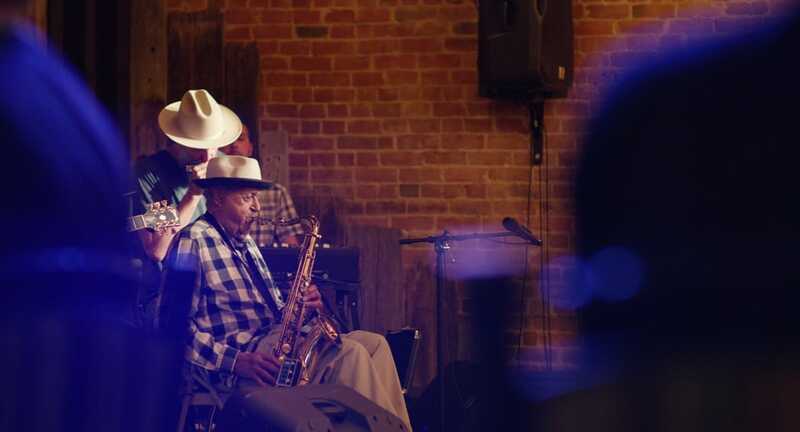 Though Wheeler entered the music scene through his harmonica, as he formed friendships with the city's deep musical strata he became an interlocutor in its history. Wheeler is passionate about music and he reveres its past. He respects every aspect of how Utah and music converged to the present moment. He can speak confidently in almost any musical language, the one exception being jazz; he doesn't read or write music but he has an ear for it. Even his preferred genre is so steeped in American history it can't help but be held in the deepest of reverence: blues. Travelers in unfamiliar spaces do not often have access to a place's history and heritage unless they seek out the plaque or download the app. Even then, stories get baked into a place's identity with the effect of obfuscating the raw materials such that a visitor can rarely get close to that identity. "Joe was essentially there when jazz was invented!" In 2017, “Bad” Brad Wheeler left his role as host and producer of Salt Lake City-based KRCL Radio's Little Bit Louder Now program after 10 years. Perhaps now more than ever, Wheeler is freest to draw upon his academic training as an archaeologist and anthropologist. The individual sites and artifacts matter to Wheeler, as do the ways in which humans interacted with those spaces and objects. It might be Wheeler's reverence for these details that keeps his relationship with Joe McQueen so strong. "Joe was essentially there when jazz was invented!" Wheeler says with pronounced enthusiasm, a point he immediately repeats for emphasis. And Wheeler gets animated piecing together the details. "I mean, Joe McQueen was probably among the first black guys to attend clubs in Salt Lake City when [jazz trumpeter and composer] Dizzy Gillespie got him on the guest list." It's not just that McQueen knew Dizzy Gillespie, but that his interaction with him became a building block of modern urban American identity; McQueen is what we might call a "living legend," but that barely does him justice — and Wheeler knows this. He says with good reason McQueen is not nostalgic about the past. Rejecting nostalgia might be why at 98 years old he remains as sharp as ever. He plays upward of 10 shows a month (including a monthly show at the Garage on Beck in Salt Lake City) and continues to make history with the raw material that ties their stories together: music. Music rich in history and rooted in a place as unlikely as Utah. Music, which Wheeler believes is a truly common language among Americans. Authentic Underground Herbal Spirit and Five Wives Vodka swag and merch. Restored boutique hotel connected to the Ogden Eccles Conference Center.